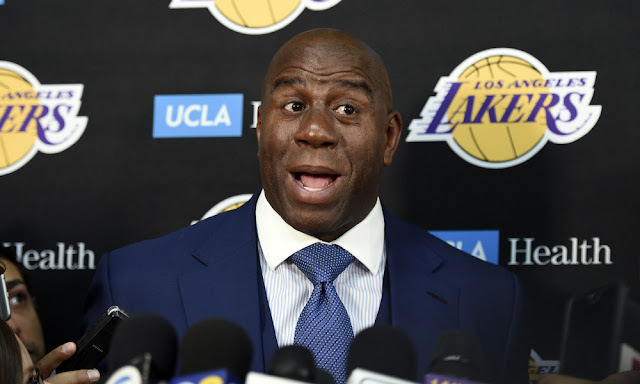 The 2019 NBA Playoffs is coming and the battle for playoff spot in the Eastern Conference is rigorous. While the top 7 teams are locked in going into the playoffs, the last spot is still being contested by the three teams. 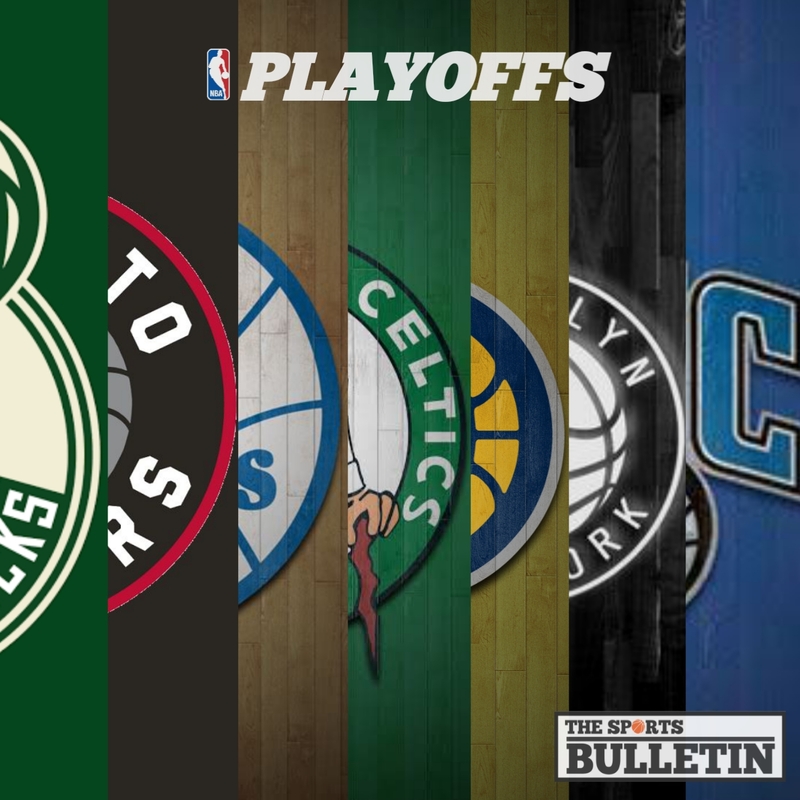 Milwaukee Bucks clinched the Eastern Conference last week in their victory against the Philadelphia 76ers. Last March, they clinched their 8th Central Division title. Bucks are still working to get their 60th win of the season and clinching the NBA's best record. Meanwhile, Toronto Raptors locked in for the 2nd spot with just 2.5 games away from the top seed. Last week after beating the Magic, they clinched their 6th Atlantic Division title. Philadelphia 76ers locked in as 3rd seed after the Celtics loss to Magic today. Sixers are 9.5 games behind the top seed Bucks. They won their 50th win of the season after beating the Chicago Bulls yesterday. They are back on track after Joel Embiid came back from injury. Boston Celtics loss the chance to take the 3rd seed after the loss. Now, they need to stick on the 4th seed to get the home court advantage in the post-season. It will be a difficult for them to defend the advantage after the injury of Jayson Tatum and Marcus Smart. Indiana Pacers are currently at 5th seed and one-game away from the 4th seed. Without their All-Star Victor Oladipo, they still manage to win games and make the playoffs. But they were 3-7 on their last 10 games and lost the 3rd and 4th seed to the two teams above. They are still on the work to get back to the top 4 teams and get the home-court advantage. Brooklyn Nets are back in the playoffs after the year they traded their first-round picks to Celtics for the aging superstars. They won three straight games to finally make the playoffs. General Manager Sean Marks deserves more credit for rebuilding this team without having a top-5 picks in the draft or signing a superstar. Orlando Magic clinched playoff spot after their win against the Celtics. Nikola Vucevic and the team really worked hard to get that spot. They are tied with the Nets with 41-40 standings. Both teams will face the Bucks, Raptors or Sixers depends on what seed they are in along with the last team who'll get the last spot. 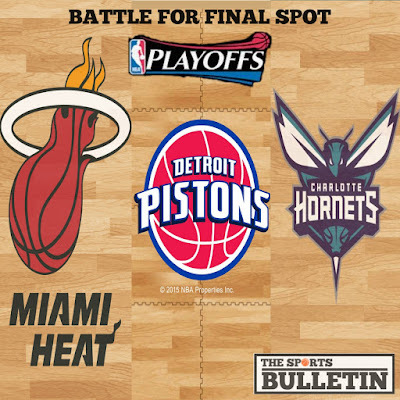 Pistons is currently at 8th seed with one game advantage from the Hornets and Heat. They need to win their last two games to maintain the standing and get that last spot. Unfortunately, they are 3-of-7 on their last 10 games. They need to settle this and win their games to carry the Detroit into the playoffs. Heat and Hornets are currently tied at 9th seed and one-game away from the 8th seed. They need to win their last two games to have a chance to make the playoffs. Hornets has much easier schedule to play who will face the Cavaliers and the Magic than the Heat who will face the top contender Sixers and the Dark Horse Nets. Playoffs will start on April 13th.